How Long Should Your Listing be on the Market? Potential buyers increasingly ask me about Days On Market (DOM) of homes and properties in the Gallatin Valley. Many excellent properties have been for sale for years. In fact, in 2012, I sold a property that was my very first listing as a real estate agent. For nearly 7 years, the sellers stayed with me as I moved from Sotheby’s, to ERA, Prudential and now Christie’s (I had excellent reasons for switching firms, beginning with a partner, Stuart Tilt.) Buyers, of course, are hoping the DOM translates to better negotiating position for pricing. Sometimes that is true but other times DOM has little relevancy about the property and much to do with the size of the market. 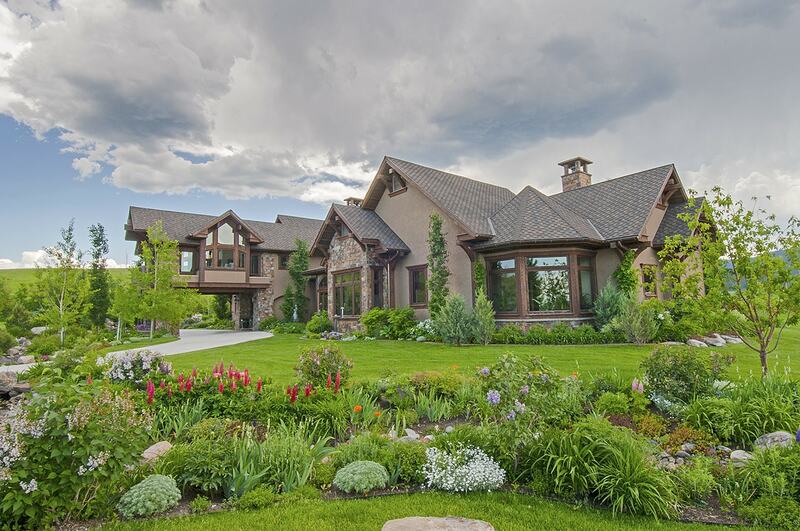 Keep in mind the background information concerning a number of the luxury and high-end properties now on the market: Between 1995 and 2004, the Bozeman area experienced a large influx of newcomers. For most of these people, Bozeman became either their primary home or one of two homes with the time divided according to seasons. The people moving here tended to be either financial secure or to have a business and income not depended on Bozeman. They purchased land and built their dream home with the home being a primary residency rather than a vacation home. Their home had the style, lay-out and over-all attributes suiting their family and lifestyle. Now, for a variety of reasons, these homes are coming on the market. The majority of the sellers would like to sell but have no financial need to sell. Those who do have a financial need to sell have, by now in this real estate downturn, priced their homes accordingly. DOM are part of the information supplied on a number of real estate web sites with the data pulled from Paragon, the MLS data tracking system utilized by licensed Realtors in this area. There are “games” played by sellers and listing agents to try to minimize the DOM. Removing a property from MLS for 3 months and then putting it back on the market “refreshes” the property and starts the clock over at “1″. Starting about 4 years ago, Paragon began tracking the history and cumulative DOM (CDOM) of a property so, when a property is refreshed, it appears on real estate web sites and to the public that it is new to the market but any licensed Realtor can easily check Paragon and determine the property’s true history, CDOM and how many times the listing has been expired or terminated, then renewed. For instance, one of the million dollar-plus sold properties in 2012 lists 218 DOM but when a Realtor checks history, it was listed for 1,097 CDOM, then refreshed and then sold after 218 DOM. The high-end market in the Bozeman area is small. Between January 2011 and today, a total of 16 homes priced between $1 Million and $2 Million either closed or are pending. The average DOM of these properties is 299 days before you actually study them and tally how many were “refreshed” and on the market far longer. Currently, there are 35 homes listed between $1 Million and $2 Million. Their DOM adds up each day. Homes priced $2 Million and up have significantly longer averages of DOM. A total of 4 homes sold or are pending over $2 Million between January 2011 and today, with an average of 523 DOM before investigating the true picture. All but one of these homes has a history indicating far more DOM. Agents feel that their personal “stats” sound better when, on a listing appointment, they can claim a lower DOM average. Agents are not compelled to explain real DOM (CDOM) unless asked. It is easy to understand that, in a market in which there are now 28 homes listed at over $2 Million and only 4 have sold 2 years and 3 months, these homes are going to accumulate DOM. There are, of course, legitimate reasons beyond trying to alter DOM, for taking a home off the market for a time period. If you are refinancing your home it has to come off the market. Or, perhaps you are remodeling, or live on a road with a heavy snow load and you are gone for the winter and don’t wish to maintain the road. There may be personal reasons or just needing a break, period. Not all “refreshing” of a property is due to wanting to alter DOM. I do not manipulate DOM as I feel it is (1) a game for statistical purposes and is deceptive to potential buyers, (2) in a market this small, if your property is for sale you certainly don’t want to take it off the market and possibly miss a real buyer, (3) time and effort is wasted and a property’s position on various web sites can be compromised, (4) it is easy to explain DOM/CDOM and the Bozeman area market to a potential buyer. If you are a potential buyer and interested in a particular property, be certain to ask your Realtor for a list of all previous transactions on this property in regards to listings, terminations, expirations and sale history. DOM is one piece of the information that aids both sides of a real estate transaction reach a price. Keep in mind, in such a small niche market, DOM for a high-end home are not a true indication of the home’s value or even marketability.